2017 awards season has got off to a storming start at The River Group as it is shortlisted for no less than seven major industry awards. The River Group’s SCENTS blog for The Perfume Shop is celebrating its first anniversary by appearing on the shortlist for two prestigious Jasmine Awards. The blog has been shortlisted in the Customer Magazine category and its Editor, Lauren Carbran, in the Rising Star category. The Jasmine Awards are now recognised as one of the most prestigious journalistic awards in the beauty industry. These awards recognise and reward the talents of journalists and visualisers whose task it is to translate the complex art of perfumery into words and pictures. The Jasmine Awards 2017 shortlist includes beauty journalists from Stylist, Grazia, Red, telegraph.co.uk and The Times. The awards will take place on Wednesday 15 March at BAFTA on London’s Piccadilly. 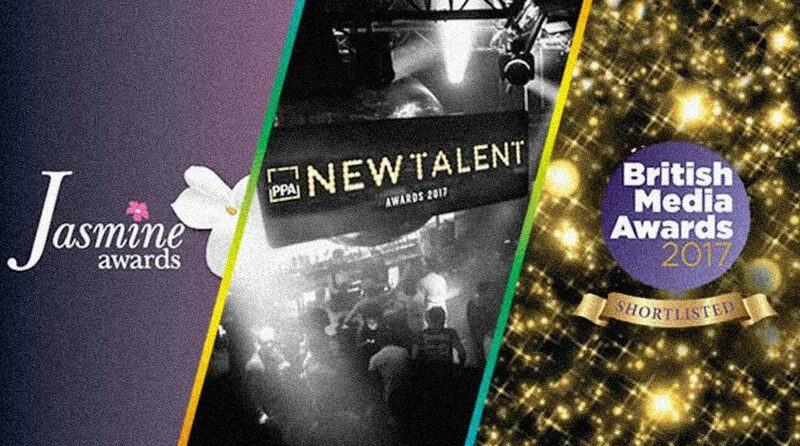 The PPA New Talent Awards were created to shine a light on the outstanding efforts and achievements of the rising stars in consumer magazines and business media and will be held this year at Ministry of Sound on Thursday 16 March. And BBC Earth magazine has been shortlisted for Launch of the Year in the British Media Awards. As one of the most ambitious newsstand launches of recent months, BBC Earth magazine has transformed the ‘facts and magic’ of the multichannel BBC Earth brand into a compelling glossy monthly print product that builds a relationship between the reader and the natural world. The British Media Awards honour media organisations across 19 categories, which recognise excellence across all arms of media business from commercial to editorial, print and digital properties. This year they will be held at the Hilton Park Lane on Wednesday 3 May. ‘We’re delighted that once again River’s print and digital innovation is being so widely recognised across the industry.’ says Nicola Murphy, CEO of The River Group.